Answering a general question such as, which binoculars are best, can be pretty tough to do. But, if you’ve stumbled upon this article then you are likely one of the many people asking it. So we have prepared this binoculars buying guide to help you answer it. 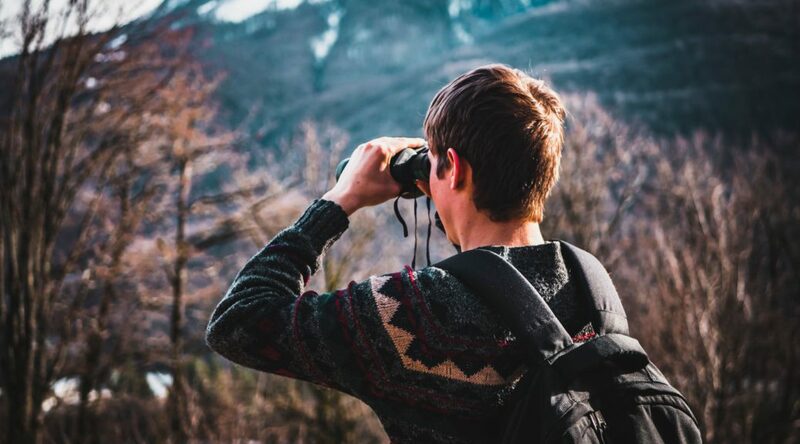 Because binoculars are used for a variety of purposes including all types of hunting, birding, sports-watching, and even astronomy, there is no one size fits all for every situation. Binoculars will vary greatly in size, magnification, and weight, among other things, to accommodate different circumstances. 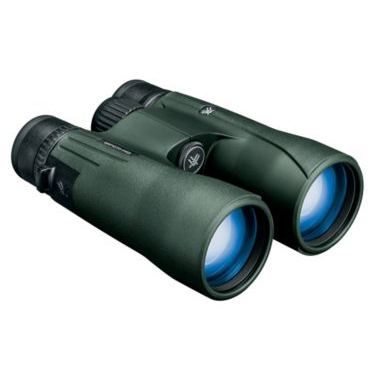 So we will begin by discussing some general information about how to decide what you want in a pair of binoculars and then recommend some of our favorite pairs that we think would be worth spending your money on. What does multiplication have to do with binoculars? So what size is right for me? If you’ve spent any time looking at binoculars you’ve probably seen numbers such as these: 8X25, 10X50, 7X35. Well, these numbers actually don’t have anything to do with a math problem. Instead, they refer to a couple of different important measurements when it comes to binoculars. This number refers to the amount of optical magnification afforded by the binoculars. If the number is 10, that means that if you view a bird through the binoculars it will appear ten times closer than it would with just your natural eyes. The larger the number, the easier it is to see things at a distance. Since the purpose of binoculars is to see far away things up close you may find yourself thinking, the bigger the number the better right? However, any number larger than 10 will be difficult to hold steady enough to see anything clearly without a tripod. The second number refers to the diameter in millimeters of the objective lens. Larger diameters are obviously bigger and let in more light than smaller diameters. More light means brighter images and less eye fatigue when using binoculars for a long period of time. While we’re talking about light gathering, let’s talk about another useful measurement to know. Exit pupil can tell you how bright an object will appear. You can find the exit pupil by dividing the lens diameter with the magnification number. For example, the exit pupil for a pair of 8X42 binoculars would be (42 ÷ 8) 5.25mm. In a low light situation, your eye is capable of opening up to 7mm-8mm. So anything less than that could restrict the amount of light your eyes can see, and would not be optimal for nighttime viewing. However, in bright conditions, your pupil will not open any larger than about 2-3mm and any pair of binoculars will have an exit pupil of at least this size, so the measurement is less important during the day. You can actually observe the size of the exit pupil by holding your binoculars about a foot away from your eyes with the lenses pointed at a bright light. The exit pupil will appear as a bright circle. Well, that depends. What do you most want to use your binoculars for? 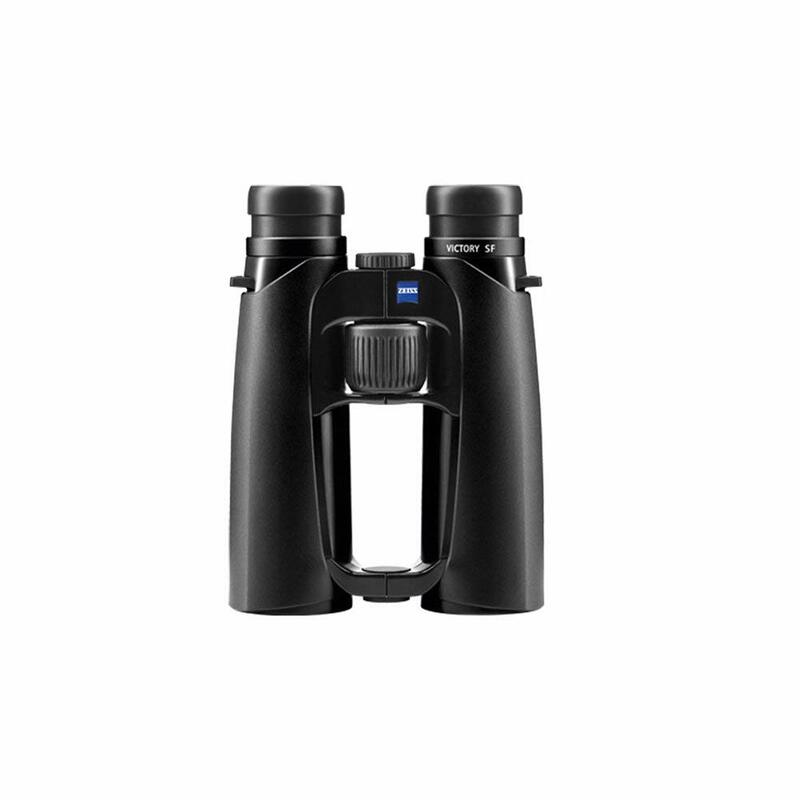 Full-size binoculars offer the largest objective lens diameters. They are best for people who expect to be looking through binoculars for extended periods of time or viewing in lower-light or even night conditions. I use full-size binoculars when I’m doing wildlife surveys for work because I often need to keep my eye on a specific animal for several minutes and the large diameter helps my eyes avoid getting tired or achy. But the large size translates to more weight. They wouldn’t be my first choice to take hiking. Although I have hiked with them out of necessity for work as well. Common specs for full-size binoculars are 8X42, 10X42, and 10X50. Mid-sized binoculars are a great compromise between performance and portability. Common mid-size specs are 7X35 and 10X32. 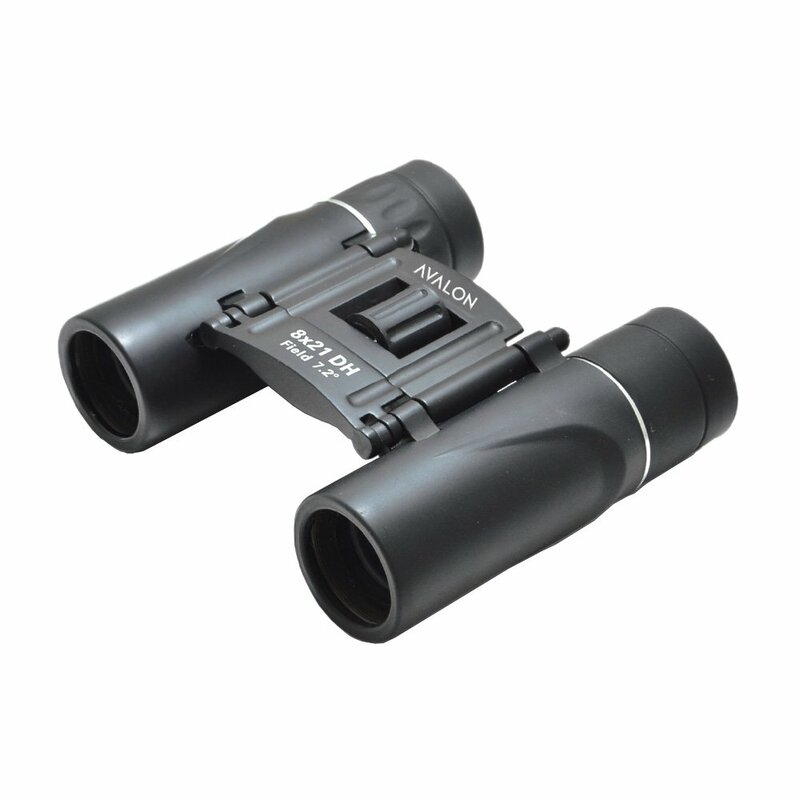 As you can see, you can get a pair of mid-sized binoculars with the same amount of magnification as a full-size pair. The difference is in the lens diameter. You can still use these binoculars in less-than-full-daylight situations, the image just won’t be quite as bright as a full-size pair allows. Compact binoculars are the smallest and lightest. If you want to bring your binoculars backpacking and a mid-sized pair pushes you out of your target weight range, compact is the way to go. Plan on only using these binoculars in the daytime because while they cut weight they also cut lens size and therefore light gathering ability. Common compact specs are 8X25 and 10X25. Compact binoculars have the added bonus of generally being cheaper than mid and full-size binoculars. While choosing your binoculars there are a few more things you should consider. Price range: Binoculars can range in price from ten bucks to thousands. But if you want a good pair, you should probably steer clear of pretty much anything less than $80-$100. And, if you want something great then you may want to spend a few hundred. (Of course, if money is no object go ahead and spend a few thousand bucks for a pair of binoculars of incomparable quality, but we realize that most people have better things to spend their money on.) Cheap binoculars may be enticing but they will most likely leave you with a blurry image and maybe a headache when you try to use them. Brand: Not everything depends solely on magnification and objective lens numbers. Two pairs of binoculars with exactly the same specs may still have vastly different picture quality and usability. This is because some brands are just better than others, and naturally, the absolute best brands will be pricier. Eye relief: This refers to how far you can hold the binoculars from your face while still receiving a clear image. It’s important to have a long enough eye-relief if you want to be able to use your binoculars while wearing glasses or sun shades. Other features like water-proofing, fog-proofing and shock-proofing may also be important to you depending on the conditions you plan to use your binoculars in. I used some binoculars in the tropics that weren’t fog-proof and it was a major pain. The variety of binoculars is simply enormous. So, to get you started on your search, we’ve curated a list of the best binoculars for a few specific categories. Since we love backpacking, it’s only natural to begin with the compact. We’ve included some excellent options at a few different weight and price points for this category. First a word about Vortex in general. 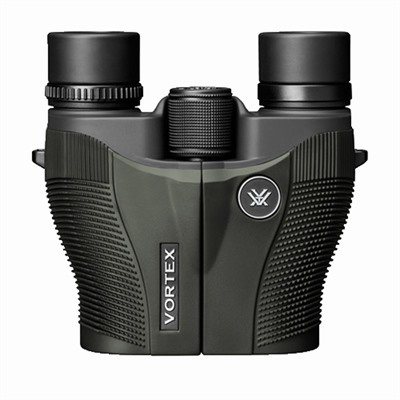 Vortex makes tons of mid-priced quality optics, from spotting scopes to binoculars to monoculars, they’ve got it all. They’re a reputable brand that won’t completely break the bank. The Vanquish is one of Vortex’s lightest models, weighing just over 12 ounces. There are both 10X26 and 8X26 models available. Vanquish binoculars offer a wide field of view, rubber armor to protect against drops and damage, as well as water and fog proofing. And at just under $100 the price is definitely right! If you’re looking for something even smaller, check out the Avalon Discovery 8X21binoculars. They weigh in at only 5.8 ounces and can truly fit in your pocket. They’re great if you can’t spare the space for anything larger, but they’re not fog proof or waterproof. Other advantages include a wide field of view and a low price tag. Swarovski is a premium brand so naturally, their binoculars are going to be pricier. But if you’re looking for some pocket binoculars of incomparable quality and you’re willing to put up the cash for it, then go for these. The CL Pocket Binoculars weigh slightly less than the Vortex Vanquish and they come in 8X25 or 10X25 specs. Swarovski works magic on its lens coatings to give you brighter and higher-contrast images in the field even in its pocket-sized binoculars. Compare these pocket binoculars to others of the same specs and you will notice a difference. This leads to less eye fatigue and increased viewing pleasure. 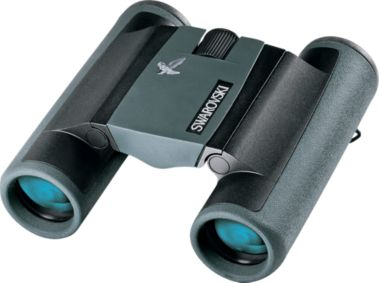 These binoculars are shock-absorbing, durable, fog proof and waterproof. 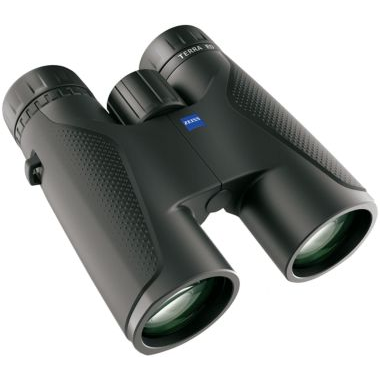 Many people consider the Zeiss brand binoculars to be the best of the best. 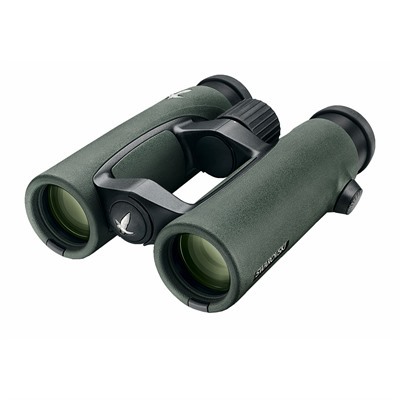 The Terra ED 10X32’s are a perfect choice for all-around binoculars. Whether you’re watching sports or nature, these binoculars won’t let you down. We especially like that they weigh less than 18 ounces and have a remarkable close-focus distance of 5.25 feet. This allows you to see the details of smaller objects at close range. The Zeiss Terra ED binoculars are water and fog proof and, falling in the sub $500 range, are an excellent price for the value. The Vortex Viper is another great all-around binocular and comes in more specs than the Zeiss Terra. You can choose from 8X42, 10X42, 10X50 and 12X50 if you want a lot of magnification. All sizes are heavier than the Terra with the smallest weighing in at 24.5 ounces. The Viper lenses feature anti-reflective coatings that increase image clarity in low-light conditions. The price is similar to the Terra, and the only reason we would recommend these over the Terra is because of the unbeatable warranty offered by Vortex. If you’re prone to dropping things or plan on taking binoculars into rough country, the warranty could pay for your binoculars many times over. I know I said to steer clear of anything less than $80-$100, but we found this pair of binoculars to be an excellent choice for those with a smaller budget. 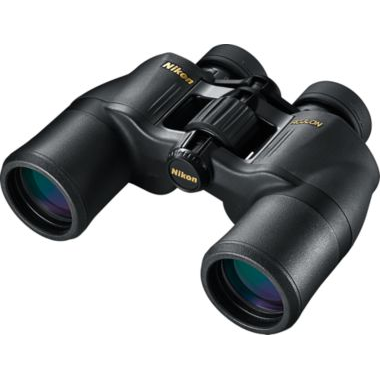 Nikon is a reliable mid-priced brand, though not quite as good as Vortex, their binoculars are generally cheaper and suitable for those looking for something more affordable. At 2.3 pounds they weigh a bit more than some others of the same specs. But they have a lot of the same bells and whistles as many, much higher priced models, including rubber armor, adjustable eye-relief, and multi-coated lenses to enhance brightness. I used this very pair to do Pronghorn surveys in East Idaho. They performed their purpose well, although eye fatigue did become an issue for me as I had to stare through the binoculars for long periods of time. I would recommend them to anyone who doesn’t need to use them for extended periods without breaks. Nikon also offers a no-fault, transferable warranty on their optics similar to the Vortex warranty. If at this point you’re thinking, those binoculars are all well and good but I’m looking for the best of the best. Money is no object. Then keep reading. This section is for you. These binoculars are full size, fully-featured, waterproof, fog proof and functional in extreme cold and extreme heat. At 1lb 11.5oz they are remarkably lightweight for binoculars of their caliber. The technology put into these binoculars makes for an unparalleled optics experience with high-quality light transmission, resolution and picture brilliance. They are designed to be ergonomically balanced and rest lightly on your eyes to eliminate fatigue. The focus knob is also optimally positioned to be comfortable and natural for ease of use. They’re pricey, but that’s because they really don’t compromise in anything. 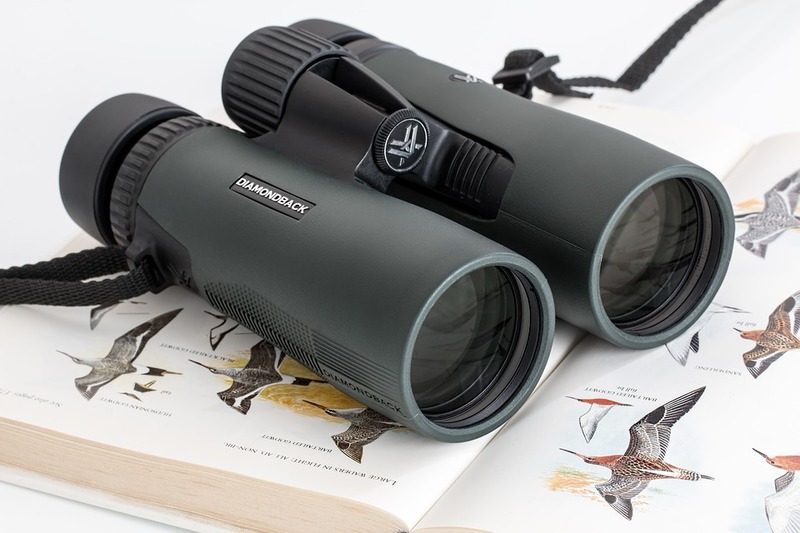 Slightly cheaper and smaller but with the same outstanding image quality and brightness of the Zeiss Victory, our last premium pick is the Swarovski EL 8X32 binoculars. As we stated before, there’s no doubt that Swarovski binoculars are high end. These binoculars live up to the Swarovski name with impressive resolution over the entire field of view, as well as life-like color, and brightness even at dusk. We also love the Swaroclean technology which makes the lenses easier to clean after you’ve covered them in dirt, watermarks, tree-sap or anything else on your adventure. There are also other magnification specs and packages available. I hope you found this buying guide helpful! Let us know what you think of these binoculars, or add your own favorite pair of binoculars to the lis by leaving a coment below! I have always had a hard time with binoculars, so I was happy to see your review because I think it’s just the fit, I’m not sure, but I always feel like I can never quite adjust them right and I always end up closing one eye to see clearly, lol. I think maybe I’m just using cheap ones that aren’t made right, so I’m definitely going to try one of the ones you recommend here to see if I can’t see better from them. My sons and I do a lot of hiking, which is why I absolutely love your site, and I trust your recommendations! Thanks. Better binoculars will make all the difference. Unfortunately, it really is true, you get what you pay for. Thanks for commenting Babsie, and good luck! Interesting article, Mariah! I am just wondering, are the lenses made out of plastic or glass? I am guessing the more expensive ones are made out of glass, hence the increase in weight. Also, what is the technology used for keeping the binoculars from fogging up? Thank you for all the possible applications for use. The lenses are all made from glass coated with anti-reflective coatings. Plastic lenses would be very inefficient. The differences in weight is due to different things such as objective lens size. As well as the construction of the binoculars. Often more expensive binoculars actually weigh less because of superior design. To fog-proof the binoculars, all the air is removed from the inside of them and replaced with an inert gas (often Nitrogen) that has no moisture content and cannot cause condensation. Awesome responses, Mariah! Thank you! Hi, Mariah. I enjoyed reading your post on binoculars. good information and well articulated. I haven’t been on a hike for a few years but I am planning to do one on my 70th birthday this coming June. I live in a small city east of Vancouver, British Columbia and we have many great hiking trails close by. But, wait, this post is about binoculars not hiking. That said, I learned something today about what those numbers mean. I think I knew the first number was the magnification but I had no idea what the second number was for. So Thanks for teaching me today. I have a pair of Pentax 12X24 UCF binoculars. They are light and waterproof and coated in rubber so I think they are shockproof as well. I think they would fall into the category of watching birds or other animals. Probably purchased them about 30 years ago and they have served me well. Having a pair of those $3000+ binoculars will just have to be a dream for now but something in the rage of $300-$400 wouldn’t be out of the question. It’s nice to have a pair handy when you spot something you would like a closer look at and seeing nature up close through a pair is amazing. Who wouldn’t want that? Thank you for the wonderful comment Wayne! Certainly, you fall into the same boat as the majority of us when you say that $3000+ binoculars are out of reach. Fortunately, that’s A-ok as the $300-$400 range will serve you well if you ever find yourself needing to replace your old pair. But I’m glad they’ve been working well for you for so long. That’s great! The second number is the actual size of the objective lens in millimeters. The larger the diameter, the more light is let in. But even with a really high objective lens number, this doesn’t make the binoculars night vision. Night vision binoculars are in a class all their own and have specialized components to convert very dim light into electrons, amplify it and then convert it back into light for your eye to see (a process that I admit I don’t know much about) or they use infrared. The larger the objective lens is, the better you will be able to see in dimmer light, but the binoculars are still not ‘night-vision’. I hope that cleared things up for you! I remember when I got a binoculars as a gift. I was just a child and I absolutely enjoyed having one. However, binoculars can be terrible on the eye because most times the images are just blurred, unlike what they make us believe in movies. I’ll love to get a binoculars as a gift for my little nephew, can you recommend something pocket friendly, that won’t give him blurred visions like the one I had? Would come in handy when next the family goes camping. On the contrary, most binoculars of any quality will give you a crisp and clear image as long as you focus them correctly. Like I stated in the article, purchasing anything under the $80 or so mark will increase the chance that the binoculars will not provide quality images. Since you are looking for binoculars for a child I would suggest something that isn’t too expensive and that has some protection against drops, and a smaller pair that would be easier to hold. Your Nephew might do well with the Vortex Vanquish binoculars. Or if you want something really small the Avalon discovery, although they are not shockproof. Hello Mariah, I am a big fan of using binoculars, their benefits are so much, not only does it help in making us see objects more clearer, but it also makes such objects feel so real. It is great seeing what those numbers that look like a mathematics problem represents. I often got confused with those numbers. Wow! I now understand the significance of those numbers especially with your explanation about the first number. Left to me, I will go with Compact binoculars as I don’t plan using it in the night time but during the day time. Not only is it smaller, but it is also cheaper. Compact binoculars are also lighter and easier to carry around. I think they are a good way to go for a lot of people that don’t need to use them constantly. Wow, what an extensive guide indeed! I thoroughly appreciate all the research you must have done to gather & compile so much valuable information. When I was a child I used to buy cheap Binoculars toys and while reading your post I remembered those golden days. I visit the nearby mountains with my friends once in a month to go hiking it would be fun to have a good pair of binoculars to use for wildlife watching. You have given me plenty to think about here. To be honest this guide is so thorough it opened my eyes to all sorts of information I wasn’t aware of! Thanks a lot for providing a wide range of options, I think first we will go with Vortex Vanquish. However, I am going to forward your guide to my friends and see what they think about it! That’s a good choice. Vortex is an all-around great mid-priced brand. You can’t go wrong with them. These recommendations are pretty cool. I have a bit of a big/fat face, and I normally get small binoculars. Your size guide is very nice tho. The Avalon Discovery looks like it would be my pick. I love how they’re small and easily stored, just as you said, can be fit in my pocket. On my island St.Lucia we ‘climb the Pitons’ which are a pair of unique mountains that we have. These binoculars would be great for the hike. A pair of Avalon discoveriesare perfect for anyone who wants to do a big hike without carrying much extra weight. You won’t find that size of binoculars in the same quality as these very easily. If you do end up getting some, come back and let us know how it worked out for you! Well, I’m a travel lover man. In my short life, I have traveled each and every inch of my country. My father who is a great traveller, inspired me by gifting me his favorite binocular on my 13th birthday. I have experienced many remarkable memories with that one. But all of a sudden I lost it last month. Nowadays I am planning to buy one. For that reason, I’m collecting information about binoculars. And guess what I found your article and don’t think I would further need something else. Among all of those, I like the “Vortex Vanquish 10X26” most. It also fits my budget. Way to go! Sounds like you’ve had many cool adventures. I’m sorry you lost your binoculars. The Vortex Vanquish is a great choice. Vortex is just an all-around great brand. I don’t think you could go wrong buying a pair of those for yourself.